Since the Belleayre Music Festival's debut in 1992, it has always hosted a little bit of something for every music lover. 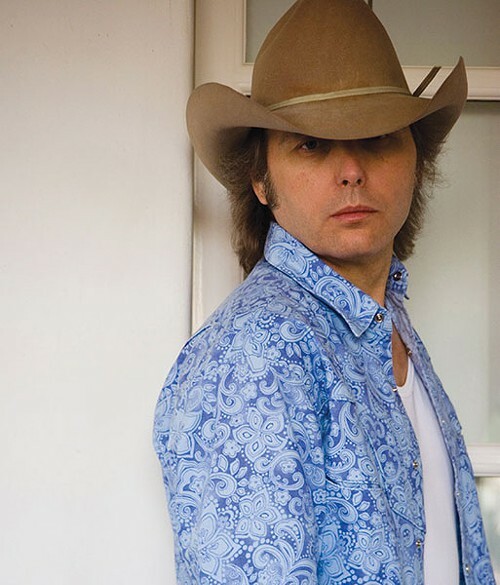 The Highmount ski resort, which has hosted in previous years big names such as Roseanne Cash, Ray Charles, and The Neville Brothers, now opens its musical season with country star Dwight Yoakam on July 6. Grammy-award winner and Kentucky native Yoakam has amassed 12 gold and nine platinum albums, including the triple-platinum This Time. Well known for his trademark pale cowboy hat with the brim pulled low, Yoakam has also starred in movies like Wedding Crashers and Sling Blade. On July 13, Hall of Famers, Manhattan Transfer will perform. The music shifts on July 20, when classic rock icons the Doobie Brothers make their way to the Belleayre. The California-based band who have racked up a number of Top 40 singles including “What a Fool Believes,” “China Grove,” and “Black Water,” will be led by founding members guitarist/vocalist Tom Johnston and guitarist Patrick Simmons. Within the music festival a mini festival, The Catskill Mountain Jazz Series will host five dance worthy performances at the Belleayre Jazz Club in the Overlook Lodge. On Thursday, August 1, the series opens with percussionist Sammy Figueroa and his “Latin Dance Explosion.” Grammy-nominated for his Latin and Brazilian jazz albums, Figueroa has also been a guest on the David Letterman Band and the Saturday Night Live Band. The jazz season will close on August 3, with saxophonist Paquito D'Rivera and the Dizzy Gillespie's Big Band, with a blend of Cuban and American jazz. Broadway legend Ben Vereen's tribute concert to Frank Sinatra and Sammy Davis Jr., “Steppin' Out with Ben Vereen,” will be performed on August 17. Along with musical acts, comedian Harrison Greenbaum and veteran funny woman Rita Rudner will also perform for laughs on August 23 and 24. The season closes with lasers and rock drama on August 31, “The Music of Pink Floyd: A Rock Symphony.” The Belleayre Festival Orchestra under the direction of Brent Havens will celebrate Dark Side of the Moon's 40th anniversary with vocals by “American Idol” judge Randy Jackson. Music from Pink Floyd's album The Wall will also be featured. Visit Belleayre Music Festival for more information.